Charles Ferzli graduated from the University of North Carolina at Chapel Hill with a doctor in dental surgery (D.D.S.) degree in 1997. For three years prior to acquiring his own practice, he worked in a Medicaid office where he completed high-end cosmetic procedures as well as crown and bridgework. While taking more than 100 hours of continuing education every year for the past 14 years, Dr. Charles Ferzli has acquired knowledge from every branch of dentistry and practices more than 40 hours a week in his Cary, NC office. Among the various certifications he has acquired over the years, he has studied at NYU for certifications in implantology, cosmetic training from Ross Nash Institute of Cosmetics, dental sleep medicine and TMJ training from AACP (see below), and orthodontic training from Gerry Samson Institute. He is certified to provide his patients with conscious sedation with the NC State Board of dental examiners. He likes to be on the cutting edge of dentistry and has a state of the art office, with everything new dentistry has to offer. He would like his patients to know that all their dental needs can be met in one location, and invests in products that achieve this goal. Dr. Ferzli has been married to Miriam Ferzli for 18 years. They have two Basset-Beagle mix dogs Bernie and Bernice. They enjoy ballroom dancing and have been competing nationally for 10 years. They love to go hiking, watch movies and spend time gardening. His best patients bring him good chocolate. Dr. Ferzli is a member of the American Dental Society, the Academy of General Dentistry, the Dental Organization for Conscious Sedation, and the American Academy of Dental Sleep Medicine. 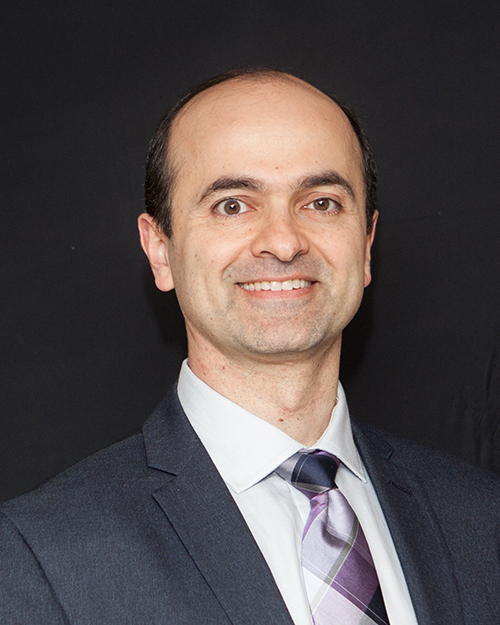 Dr. Ferzli also recently became a Fellow with the American Academy of Craniofacial Pain (AACP), and has completed over 200 hours of continued education in Craniofacial Pain, TM Disorders and Sleep Disordered Breathing. In 2013, Dr. Ferzli has completed the Craniofacial Pain and Sleep Residency Program offered by the AACP.